I’ve said it before, and I’ll say it again. I am a very lucky man, and my experiences on two wheels have been nothing short of legendary. In this article I’ll touch on the top 10 motorcycles I’ve ever ridden. 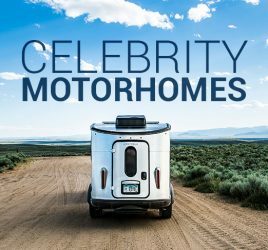 Read along and click through my video reviews to see my first impressions on these amazing machines. This wouldn’t be an article about the best motorcycles I’ve ever ridden if it didn’t have at least one Harley-Davidson on it, and the Road Glide is unequivocally Harley. Never have I felt closer to America’s roots on two wheels than whilst riding a Harley-Davidson down an open highway in the middle of the summer. The world around you melts away as you shift through the gears with front controls, listening to music on the built-in speakers, and feeling the rumble of the 107 cubic inch Milwaukee-Eight. Coming in at 855 pounds, you’ll need to calibrate yourself prior to setting off, but within moments you’ll feel as balanced as can be. I had always protested putting a Harley in my garage, but after taking the Road Glide out for a spin, I can guarantee that there will always be a place for HD in my life. 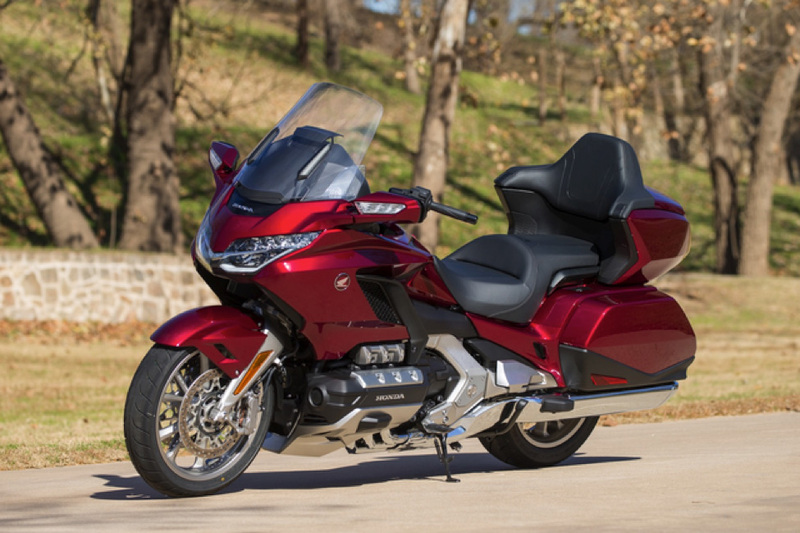 At the forefront of all great sport touring bikes sits the Honda Gold Wing and believe me, the new DCT Tour model hold up to the legacy with ease. I personally think if there was a family tree of every great touring motorcycle ever built, it would all lead back to this beauty. Simple complexity could define the effortlessly utilitarian Gold Wing DCT Tour, and with a 6-cylinder 1.8-liter engine, two exceptionally comfortable recliners for seats, and a dashboard entertainment system that would rival most cars, the Gold Wing is the poster child for the modern mile muncher. I’ve never been so intimidated, only to immediately fall helplessly in love with a bike. The model we’re discussing here, and the one I so graciously got to test ride, was equipped with the Dual Clutch Transmission, better known as a DCT. This meant shifting was either automatic or manipulated by toggles on the left handlebar. At first, I’m well aware this is a polarizing fact in the motorcycle community, but ladies and gentlemen bear witness to one of the greatest executions of early adoption technology ever to come to a motorcycle. Regardless of one’s natural desire to manually shift through the gears, the DCT transmission on the Gold Wing is more convenient, smooth, and perceptive than I could ever be on my own. The suspension was comfortable and well balanced between focusing on quality of the ride and aggressiveness under load. The controls were easy to find and use, and with all new DCT controls, well within reach on the handlebars. If I had one complaint, it would be the entertainment system looked a bit outdated. I know this is tech that is really just picking up in the motorcycle industry, but I would rather have a proper up-to-date system or an analog one over something “new” yet very 2013-looking. Perhaps one of the most incredible surprises was how well the Gold Wing hides its over 800+ weight. I never felt even the slightest bit out of control or unbalanced, in either highway or parking lot speeds. All and all, the stigma that big sport cruisers, and Gold Wings specifically, are for the older generation is dust in the wind. Specifically, the wind my Honda Gold Wing DCT Tour could whip up with ease. Be sure to read my full review on the Honda Gold Wing. This wouldn’t be an article by the DukeOfDC if I didn’t write about the Aprilia Tuono, in this case the 1100 RF. The Aprilia Tuono and I have had a relationship for the ages. I’ll be the first to admit it’s likely the catalyst for my entire career on two wheels. 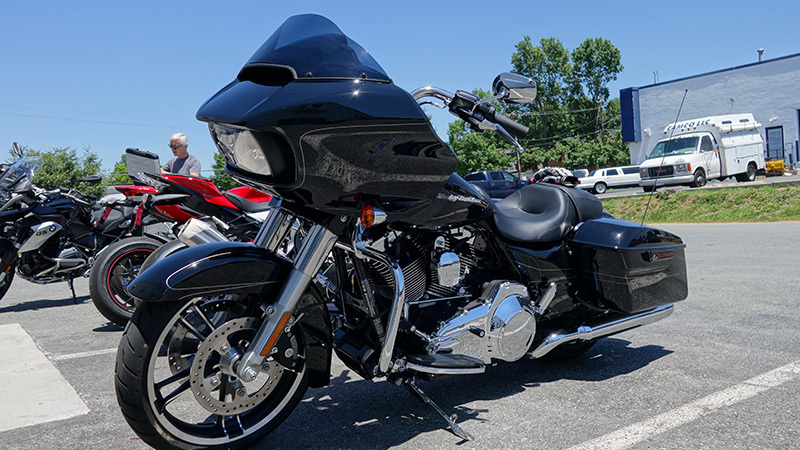 The combination of top-end horsepower and low-end torque coming out of the symphonic 1100cc V4 producing 175 horsepower and 89 pound-feet of torque, will leave your heart in your stomach. The Tuono, like the S1000RR, came seemingly out of thin air and took the naked bike market by storm. To this day, I tend to think the V4 is the single most beautiful sounding engine configuration on the market, and with any number of the widely available aftermarket exhausts, your neighbors in the state over will agree with me. Even after they’d called the cops. More impressive than the audible eargasm is how incredibly dialed in the Tuono is when compared to other formidable super naked motorcycles. You’d be just as comfortable on this bike sitting on a straight at the Circuit of the Americas as you’d be picking up milk from the local mini-mart. The 1100 brings updated technology to the playing field with lean angle sensors, cruise control, and a TFT display. Suspension is top of the line Ohlins and on the 1100 RF you even get forged wheels, making hitting the twisties an exercise in telepathy. But they say a picture is worth a thousand words, so you should certainly go watch the video I made on this amazing machine. 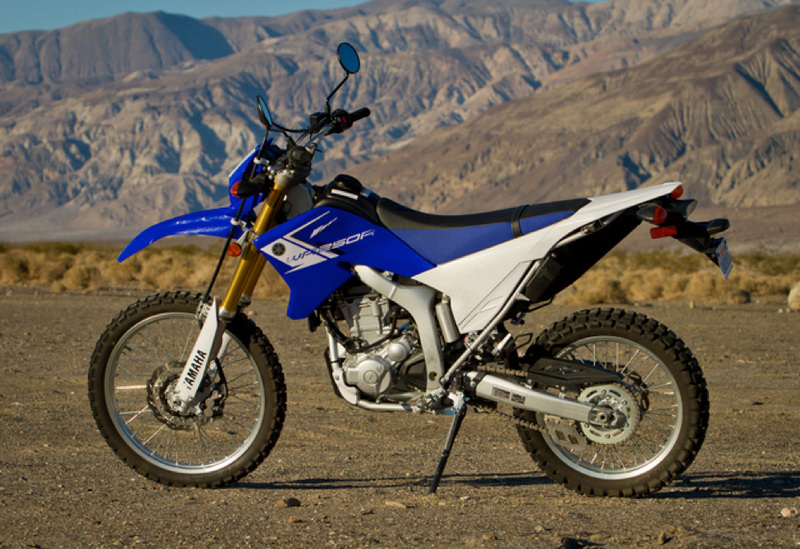 The Yamaha WR250R is that good. Did I say good? Because I actually meant great, fantastic, exceptional, magical, spectacular–whatever floats your boat. 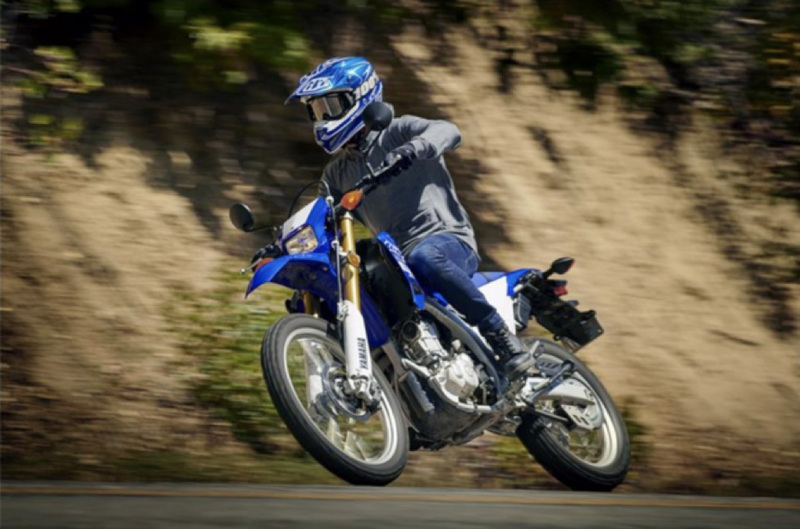 The Yamaha WR250R is everything it’s supposed to be, everything you want it to be, and everything its competitors fear. No, the 250cc single doesn’t put out noteworthy power, nor does the all-but-missing digital speedometer akin to one you’d find on your Dad’s old calculator watch, but it does have something going for it. 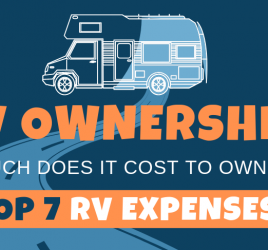 At $6,700, you’ll initially wonder what you’re paying for, and I can answer that in one word: suspension. It was a warm summer day when I first was given the opportunity to ride the WR250R, and it was quite possibly the single best test ride of my life. A gentleman was selling it on Craigslist, and I met him in Tysons Corner, here in Northern Virginia. For those of you that aren’t from around here, it’s a large business park with a couple high end malls and a whole lot of concrete. It’s picturesque for super moto shenanigans. That day, the WR250R shined more than most. The throttle response was tight, the ergonomics were firm (appropriately so), and the suspension soaked up everything I threw at it. We made our way down sets of stairs, loading docks, shipping ramps, really anything that had you out of your seat. 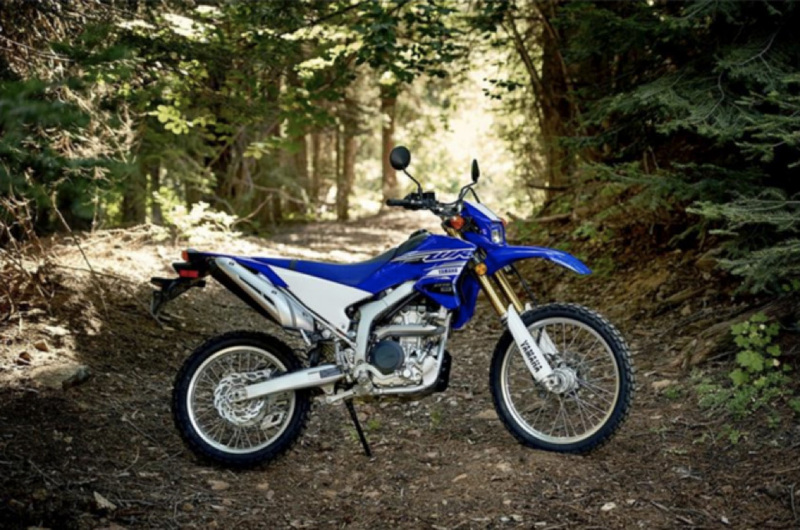 On the trails, the WR250R shines with its narrow chassis you’ll be able to manage some single tracking while keeping up with its enduro only counterparts. That’s not to mention the extremely customizable nature of these things. Looks like the Swiss Army Knife has made its way into the motorcycle industry. Where do I even begin with the plucky Kawi Ninja 400. As most of you know, have seen, and have read, I adore this motorcycle. I think Kawasaki set out to make a great entry level motorcycle, but I’m not sure that even they knew that they were building the best. At just $5,500 and boasting an incredibly peppy 399cc twin producing 45 hp and 28 lb-ft of torque, you’ll only long for more when the flashing blues are in your rearview. I could write an entire article on this bike…. Oh wait, I did! Be sure to go check that out, as well as the first ride and review video. 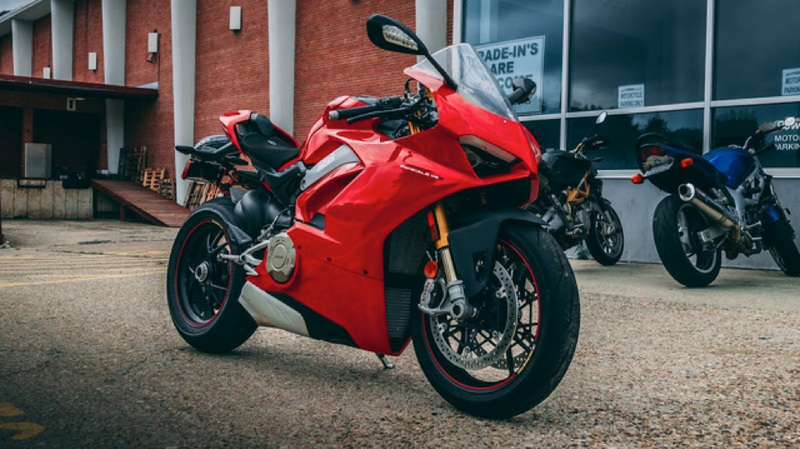 The Ducati Panigale 899 has got to be the single most nimble motorcycle I’ve ever ridden, and yes, I’ve even had the fortune of riding it’s successor, the 959. Hell, I’ve even ridden its older brother, the 1299 and successor the V4R, and STILL the 899 remains one of the best Ducati’s I’ve ever ridden. You might be sitting back, reading this, thinking how in the hell that’s possible, and it all comes down to usability. On the street, where most of us common folk are riding, there’s a limit to how much of a bike we can (read: should) use. As someone who’s never been called a “street Rossi,” I can guarantee you that I seldomly push anywhere near the limits of grip or power on the road, and on the 899, you don’t have to. With 148 hp and a dry weight of just 373 pounds, you’ll effortlessly maneuver through corners, accelerate to vision blurring speeds, or just park it in front of your local coffee shop and drool at this machine’s raw beauty. By god it is a work of art. You can quote me on that. 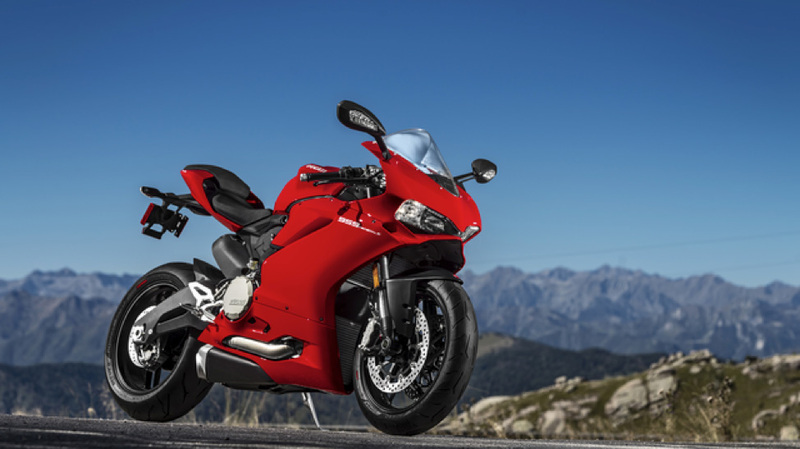 Fast forward only a couple years and the eager engineers over at Ducati have taken the ever-so-perfect 899 and from the ashes, the Ducati Panigale 959 was born. Aside from the larger displacement twin and the polarizing euro-4 required canister exhaust, the 959 is like colorizing Casablanca. It’s just not necessary. That being said, the horsepower increases from 148 to 157 and the torque increase from 73 to 79 lb-ft certainly aren’t bad things. If you’re looking for my advice, look around on your local used motorcycle forums and want ads and spend significantly less on the equally as impressive 899. Even if it has a few thousand miles on it, the underbelly exhaust alone is worth its weight in gold. I’ve talked a lot about certain bikes being the yardsticks of their categories. The bikes that other manufacturers seem to always be chasing, no matter what they do, and the BMW R1200GS Adventure may be the godfather of all yardsticks. There was a time in my life where I thought the GSA was it for me. The end all be all, the last bike I would ever need, and a motorcycle that could take me around the world and back again. In fact, to this day, the R1200GS Adventure is the highest viewed video on my channel, and trust me, it’s not because it’s my video. The R1200GS is simply a cog in the ever so successful GS lineup, dating back to the 1980’s and leading the industry straight into 2019 with the newest iteration, the R1250GSA (we’ll get there too, don’t you worry). Never has a bike captivated more individuals to explore and literally take the road less traveled than the R1200GSA. You can watch a early 2000’s BMW GS headline the dream-worthy Long Way Round films starring movie star Ewan McGregor and his best mate Charlie Booman. On my all too brief test ride of this beautiful machine, expectations were shattered, and the BMW did what it does best, performed. The 1170cc all too famous water-cooled boxer twin produces 125 horsepower and a locomotive worthy 92 pound-feet of torque, that easily scurry along the 573lb (wet) weight. Being as this is in fact a BMW; the mechanical prowess almost takes a back seat to the flurry of technology laden throughout the bike. Rider modes range from street to off-road specific, manipulating throttle response, available power, suspension feel, and even ABS intervention. Fully loaded, you’re able to ride two up, with three large OEM aluminum cases filled with all the gear you’ll need on your journey, and what a journey you’ll have. 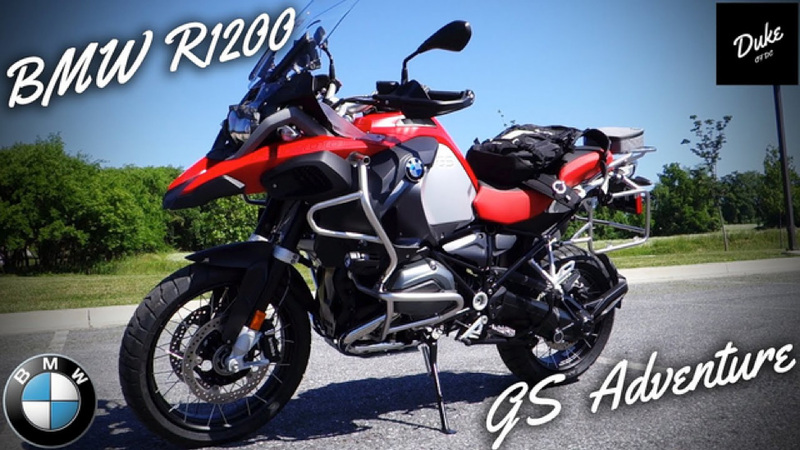 How do I feel about the 2019 BMW R1250GSA? 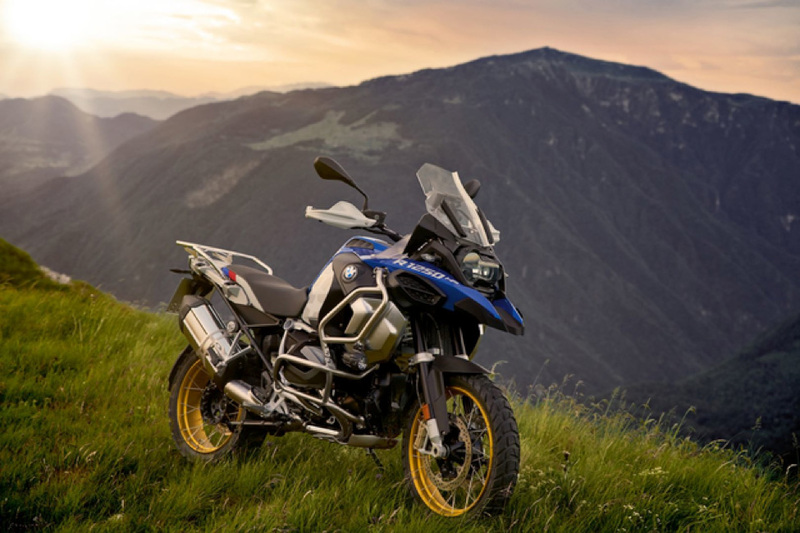 Fast forward to today, and the 2019 BMW R1250GS Adventure is leading the cutting-edge technology in the motorcycle industry. With a 1254cc water cooled boxer twin producing 134hp and 106 lb-ft of torque, the new GS uses BMWs patented ShiftCam technology to increase torque and deliver power smoother than ever. Information is streamed through the 6.5-inch TFT display, where rider modes, suspension settings, navigation, and trip information are among many easily selectable displays. Stay tuned in the coming months as I get a chance to take the brand-new BMW R1250GSA for a first ride and review! The 2015 KTM 1290 Super Duke R will always and forever hold a special place in my heart. As my 3rd motorcycle and the most expensive one I’d ever purchased, it was a physical embodiment of years of hard work and savings. Aside from this emotional connection, the KTM 1290 SDR is unquestionably one of the most outstandingly brutal motorcycles to ever roll across showroom floors. With a staggering 1301cc 75-degree V-Twin producing 151 wheel horsepower (whp) and 94.5 pound feet of torque at the wheel, this thing hauled. If you can’t do a wheelie on a KTM 1290 SDR then I’m sorry to say, it’s you… not it. What has changed on the 2019 KTM 1290 Super Duke R? 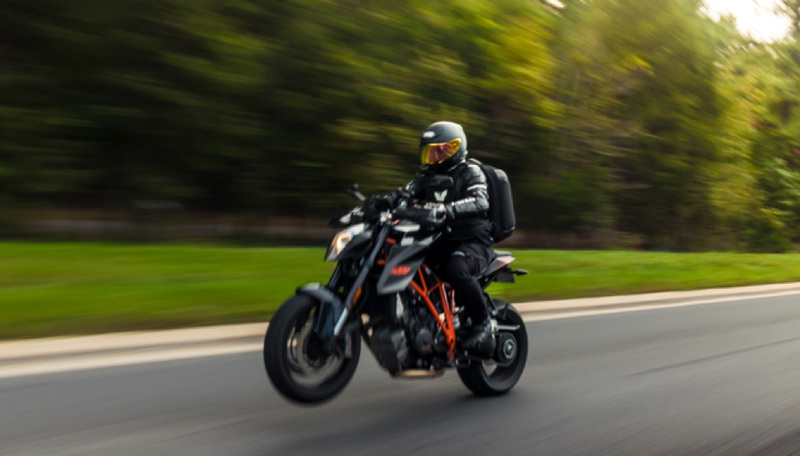 I am realizing as I write this how ridiculous it is that I haven’t ridden the updated version of the KTM 1290 Super Duke R. In fact, it is in this moment that I’ve decided to send a note over to my local KTM dealership and change that. I mean sheesh… I am the DukeOfDC, aren’t I?! Regardless, let’s talk about the specs and design of this 2017+ update for my beloved SDR. I suppose I should start with how I felt when I initially heard the news of the update. If you’re reading this now, the “new” 1290 SDR isn’t so new anymore, and although each passing year comes with its fair share of minor tweaks and newly available colorways, it’s still primarily the same bike rolling into 2019. There are still lingers of what once was. The engine is still a 1301 cc V-Twin masterpiece, although they’ve bumped the power output up to a literally unbelievable 177hp and 104 lb-ft of torque. I need people to think about that for a second. A 1.3-liter engine producing that much power is damn near magic. Aside from the increase in power, the updated 1290 SDR came with sleeker styling in the form of updated body panels, new LED headlights, a very choice Thin Film Transistor (TFT) display, and a more aggressively dropped set of handlebars. Now, having not ridden this majestic beast, I can only really pine over the outstanding laundry list of specs that come along with it. I’ve heard from others that it’s a bit less brutal than its predecessor, however I’ll leave that to me to determine. The year is 2009, and as the battle between Japanese super sport bikes pushes on, as it has for years, there’s a knock at the door. A very Bavarian knock. It comes in the form of the BMW S1000RR – what was once an unknown jumble of letters and numbers, has now become a household name. When I think ‘sportbike’, I think BMW S1000RR. I’m privileged to say that I’ve not only been able to ride many model years of this magnificent bike, as well as having said bike for extended week-long test rides, but I’ve also been honored with the opportunity to ride the ever so rare HP4 variant. Refreshed in 2015 and redesigned for 2019 (we’ll get to that later), the (2015) BMW S1000RR boasts a 999cc in-line four-cylinder engine producing a staggering 199hp. At only 449.8lbs, this thing hauled. Equally as impressive as the sheer power and uniquely aggressive styling cues was the technology being developed and implemented on this motorcycle. Everything from quick shifters, to autoblippers, to launch control, and the warrant warranting “slick” mode, I was impressed. The S1000RR came equipped with optional DDC suspension that would adapt to road conditions on the fly, dependent on what rider mode you had selected. This means the S1000RR could go from track weapon to gentle commuter with the flip of a switch. You simply shouldn’t feel so comfortable on a bike so aggressive. The mind boggles. 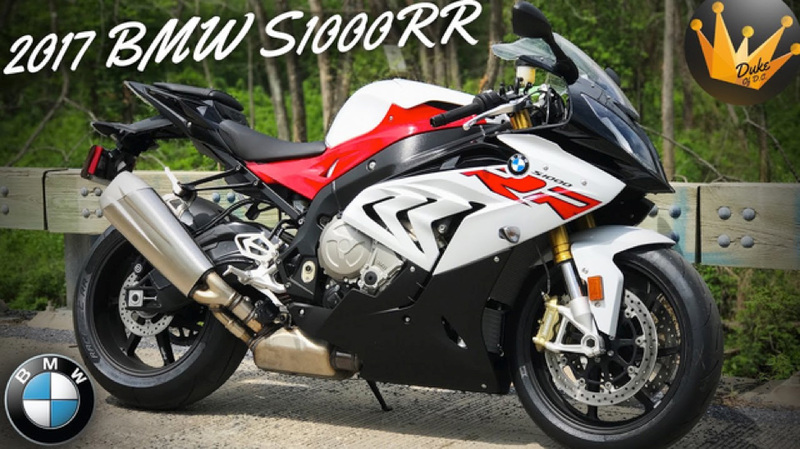 How do I feel about the 2019 BMW S1000RR? See, I told you we’d get to this. Now bear with me as I’ve barely been given the chance to even see this bike in person (I had to fly to Italy for even that…), so the information I give here with be more factual examination of statistics and less passionate connection. Although, might I say I’m feeling swoon-y already? A ground-up redesign, as the BMW marketing team likes to tout, the 2019 BMW S1000RR stretches what one believes possible to achieve within motorcycle engineering. 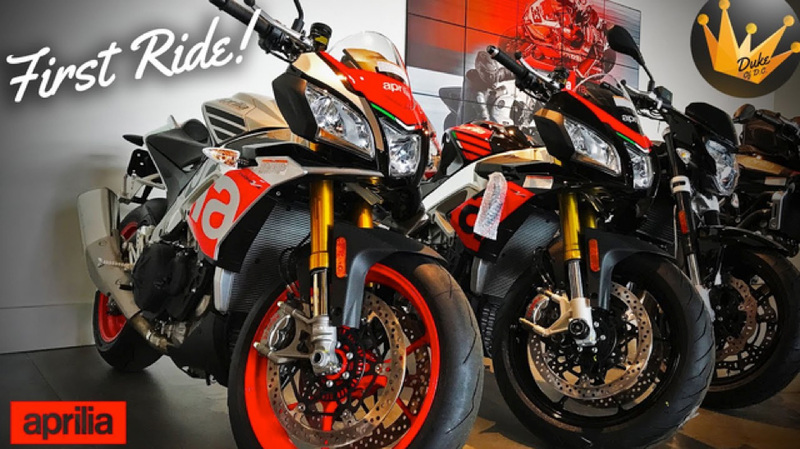 An all new TFT display showcases the digital speed and tachometer, as the 999cc inline 4-cylinder producing now 205 horsepower and 83 lb-ft of torque, blur your surroundings into ludicrous speed. Mind you, this increase in power comes even under the new stricter Euro-4 emissions. Bravo, BMW. Bravo. New styling removes the somewhat despised asymmetrical headlights and replaces them with twin LEDs. The chase is redesigned and, in some parts, exposed to display the lovely trellis subframe. Under said frame though, lays the true foundation for innovation on this new S1000RR, the motherboard. I say motherboard because after reading and reviewing the laundry list of safety and technology options, I’m assuming you could also do your taxes, watch YouTube, or play Minecraft on said motorcycle. ABS Pro (cornering ABS), Dynamic Traction Control (DTC), Dynamic Traction Control Wheelie Function, Shift Assistant Pro (which allows for clutchless up and downshifts), Hill Start Control (HSC), Launch Control, Pit Lane Limiter, and four riding modes (Rain, Road, Dynamic, and Race) just to name a few. Needless to say, I can’t wait to give this thing a spin. Starting at $15,995 with optional specifications taking the asking price well over $20k, I’ll be collecting cans in order to save up for this beauty. They say the sincerest form of flattery is imitation, and I think Ducati took this to heart. When looking at the best supersport bikes on the market, one thing was starting to become clear, the V4 engine configuration is one of the most serious ways to show consumers that you’re innovative. In the Panigale, innovation takes the form of sheer awestruck power. 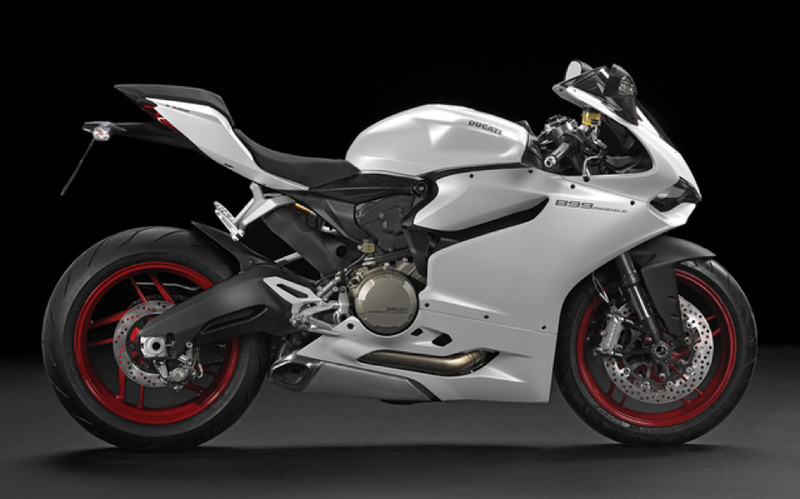 I don’t say this lightly, the Ducati Panigale V4S scares me. It scared me when I first heard about it being developed, it scared me when I saw the stats, and it scared the hell out of me when the good folks over at Coleman PowerSports were walking me through the controls prior to liftoff. Houston, we have a problem, and that problem is that I didn’t buy this bike on the spot. The 90-degree 1103cc Desmosedici Stradale V4 makes its incredible 214hp at an even more incredible 13,000rpm, and right up there at 10,000rpm, it’s producing a max 91.5 lb-ft of linear, usable torque. 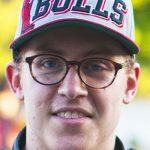 The wafer-thin seat and hunched over ergonomics have you imagine coming down your favorite Grand Prix track on the Moto GP circuit. The electronics package makes the Manhattan project look like a 5th grade science fair project. This is no motorcycle, it’s a transformative piece of mechanical art, a true masterpiece of engineering and design. This is someone’s Sistine Chapel and I’d bet dollars to donuts that Michelangelo would agree. I implore you to do anything within reason (and the limitations of the law) to get an opportunity to ride this bike – you won’t be sorry. So, there you have it. My top 10 Best Motorcycles I have ever ridden. The greatest part about being a motorcycle enthusiast is that this list may be true today, but I could ride the single greatest motorcycle of my life tomorrow, and that fact will always be true. Manufacturers are pushing the limits of human possibility with updated technology and power to match, and I’m just happy to be here for the ride. What a time to be alive, seriously.. If you are considering one of these bikes, you are in for a treat. 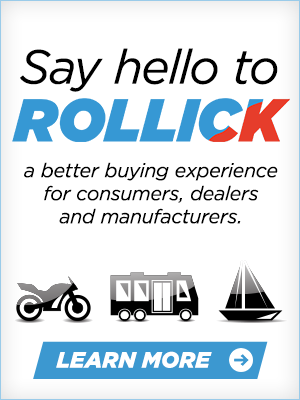 Make sure you check out GoRollick to see if one of these beauties has special pricing and check out Rollick’s Best Motorcycle, ATV and UTV Deals and Incentives Guide to see if there are any current deals. 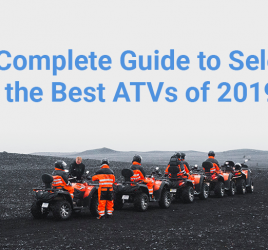 Trust me, you’ll want to get your leg over on any of these bikes as soon as possible. You know, my father tells me that one of my first words was “carburetor” and after my 8th car and 5th motorcycle in my relatively short time on this earth, I’m starting to believe him. I’ve been riding motorcycles since I was 15 years old, and when I started DukeOfDC it was during a really difficult time in my life. I’m just an average Joe that loves anything on two wheels and wants to share that passion with the world. Check out my YouTube channel and follow me on Twitter.